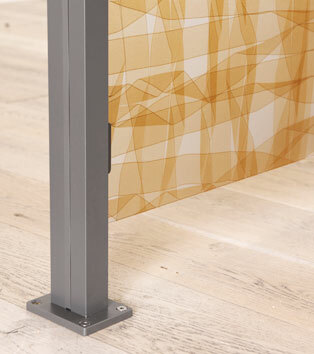 The Versa systems has also been updated with new baseplates to pair with new angular profiles for a clean and simple appearance that keeps the focus on the resin materials. The Versa partition system is a kit of parts to customize and refine the details to your specifications. The boxy appearance of the new angular profile creates a simple and clean impression, allowing the 3form material to take center stage. Introduce the versatility of color to most 3form hardware systems. Customizing entire solutions is now easier than ever with nearly-infinite material possibilities and the option for hardware to match. Select colors that are self-effacing and blend into surroundings or make a bold statement with a solution’s supporting hardware. 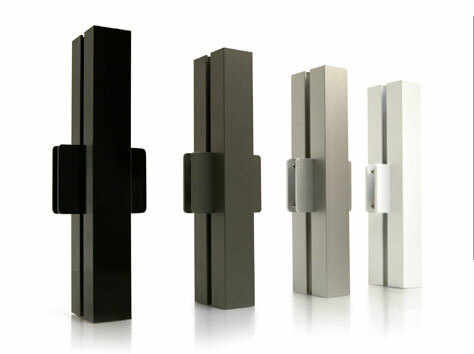 Choose the original satin anodized aluminum finish, three standard powder-coating colors, or select custom colors. 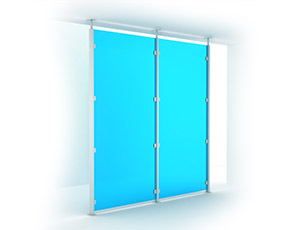 3form Versa is the perfect answer to mobile and moveable translucent partitions. 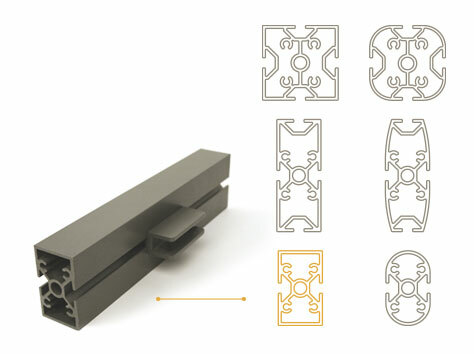 This 3form architectural hardware system offers refined aluminum extrusions to create free standing or pressure fit translucent walls and partitions. With these two options and a variety of mounting hardware, it easily adapts to your environment.